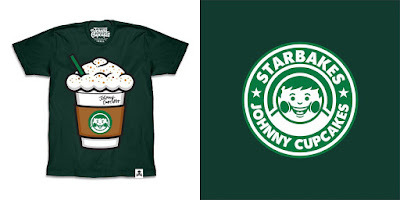 Later today, Johnny Cupcakes will be releasing this killer new Big Kid t-shirt inspired by Starbucks’ beloved Pumpkin Spice Latte. What really makes this tee amazing is that it features Pumpkin Spice scented ink!!! How insane is that? The Starbucks inspired “Big Kid Latte” will go on sale at noon EDT today, Friday, September 21st, at the Johnny Cupcakes online store in sizes XS-3XL.